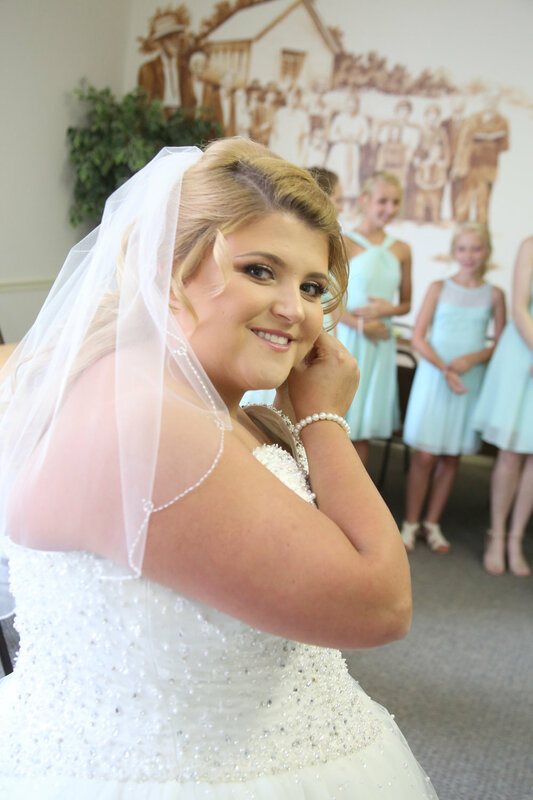 Jamie & Justin said their I Do's about a month ago in Berkley, Kentucky. We started the day out at the church where there was not much shade for pictures, at all! But we made it work, even if it meant the guys had to stand out in the middle of the road & traffic went around them into the church parking lot! 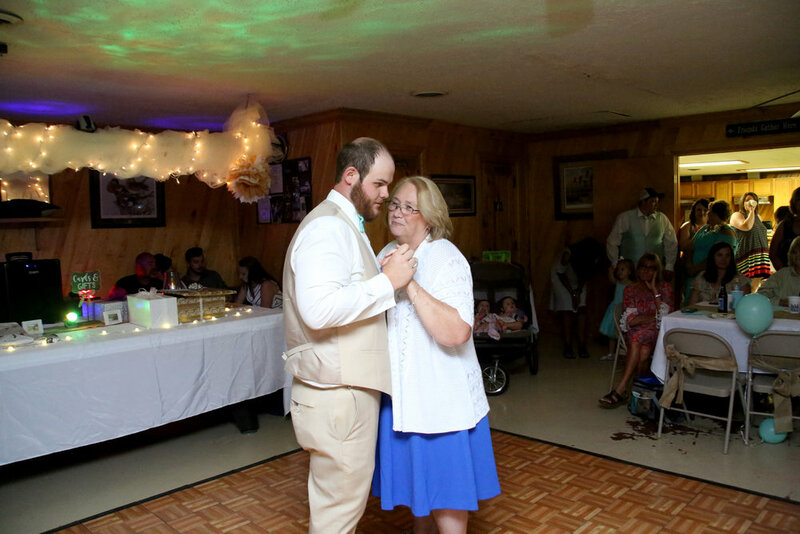 The bride & groom chose not to see each other at all until Jamie walked down the aisle, and oh my goodness, Justin made everyone in the sanctuary cry with his reaction! 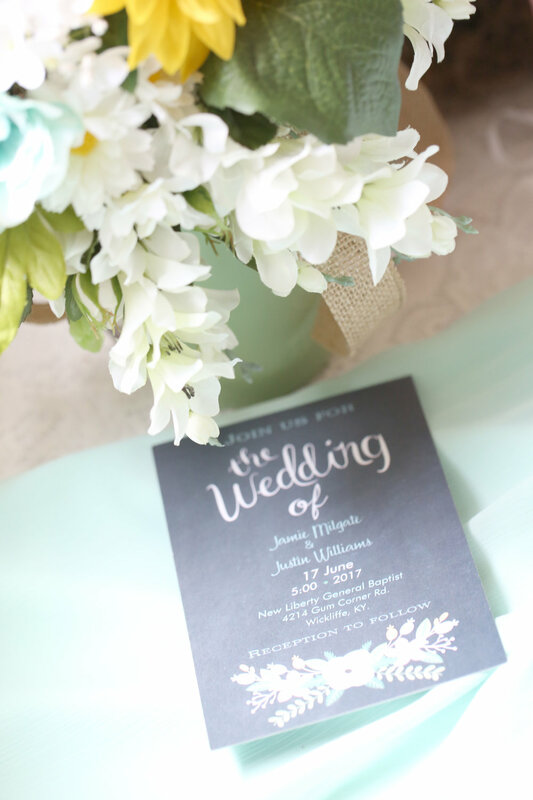 The wedding was rustic, elegant, a mixture of burlap, lace, mint green & sunflowers! 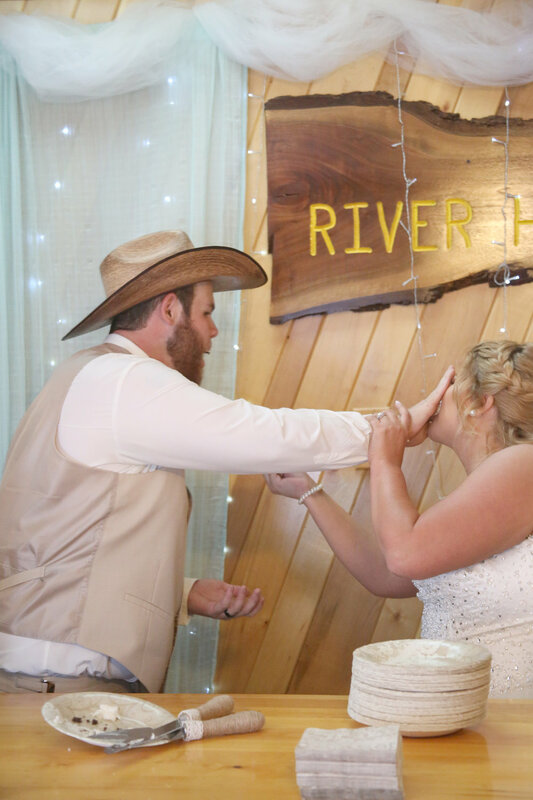 After the wedding the bride & groom finished the night at a local cabin with their family & friends! 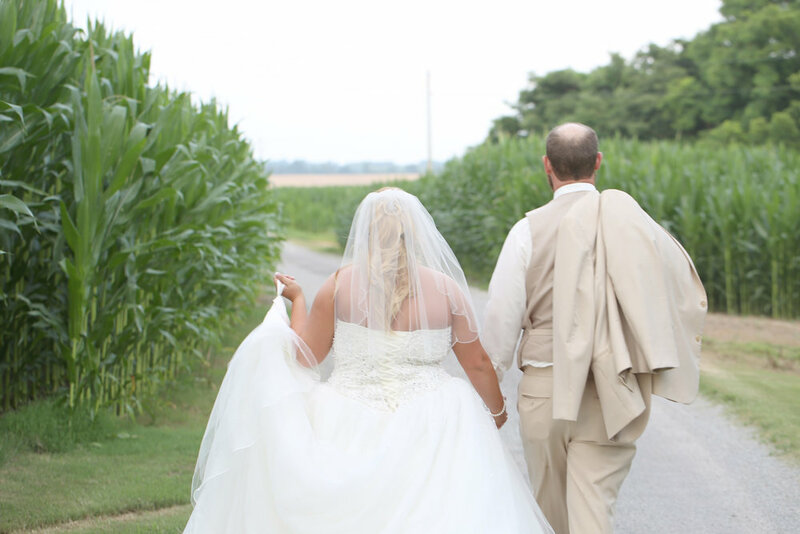 We even got to sneak out for some pretty awesome shots in the cornfield & the gravel lane! To top it off, the guests were serenaded by Justin & his karaoke skills!! 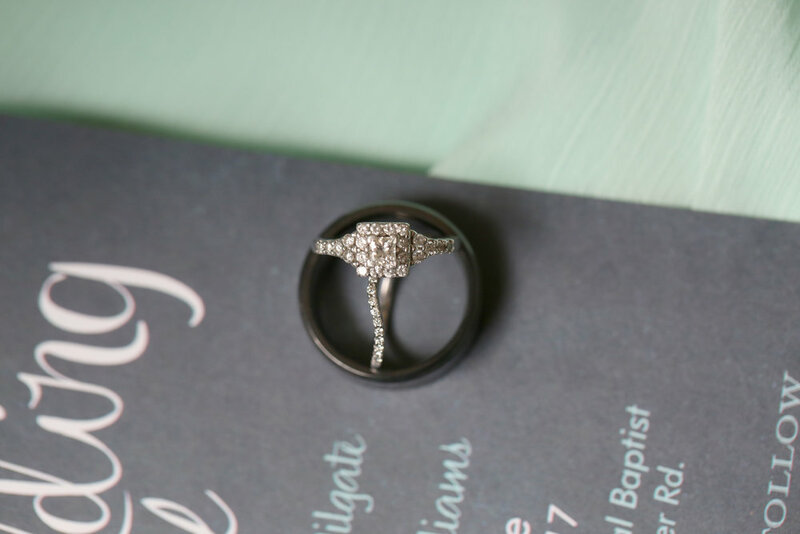 Here's to a lifetime of happiness, Jamie & Justin!